What a great challenge Debbie! I’m going to show you how to make Mini Cupcake Cloches using Tombow’s Power Tabs! 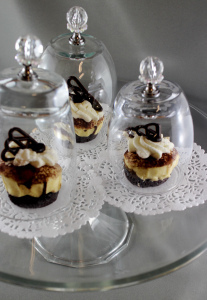 This idea is great for a presentation of mini cupcakes or handmade goodies for a tasty gift – with the best part you are really giving them a set of stemless wine glasses! 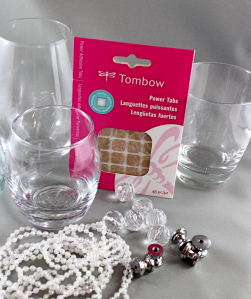 I picked up some clear glasses, plastic beads and beaded trim at the dollar store. 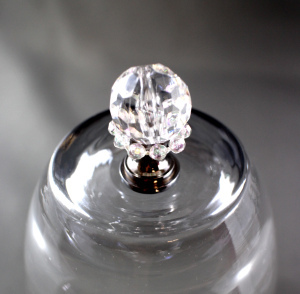 You will also need some cabinet knob bases or flat-topped cabinet knobs. 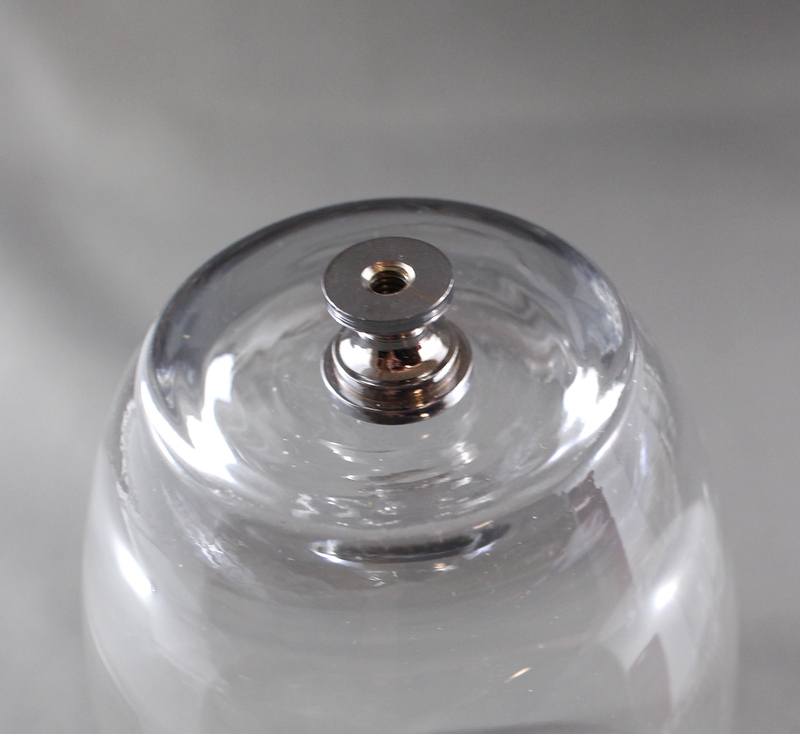 With a Power Tab, attach the knob base to the middle of the upturned glass. With another Power Tab, add the plastic bead. There will be exposed adhesive around the base of the bead, just enough to add a small piece of beaded trim for extra decoration. Now it’s your turn! Create with Dollar Store items and Tombow Adhesives to have a chance to win some Adhesives from Tombow!